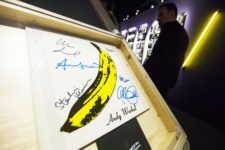 “The Velvet Underground Experience,” a multimedia exhibition about the history and influence of the Velvet Underground will run in New York City October 10th through December 30th. The exhibition debuted in Paris two years ago and features rare photographs, portraits, films, videos, live concerts and musical workshops. The show will be housed at 718 Broadway in Manhattan.